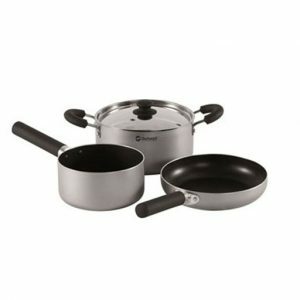 The Kampa Chow Cook Set is an extremely lightweight yet strong with its aluminium construction. 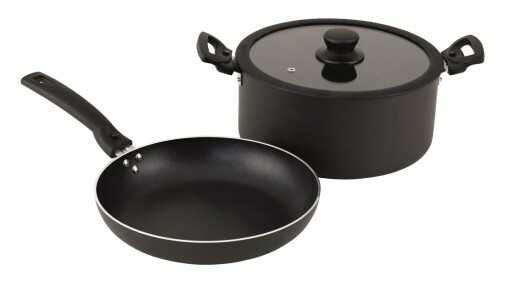 Ideal for families, couples and small groups. 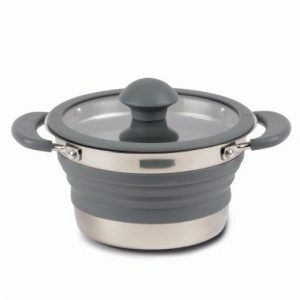 The Kampa Collapsible Saucepan are for those who want to saving space with your cooking equipment. 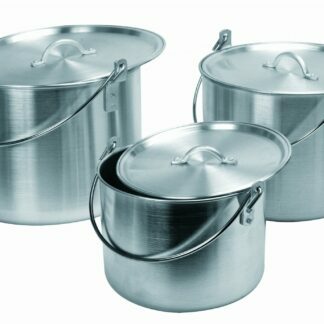 Made from Silicone and Stainless Steel. 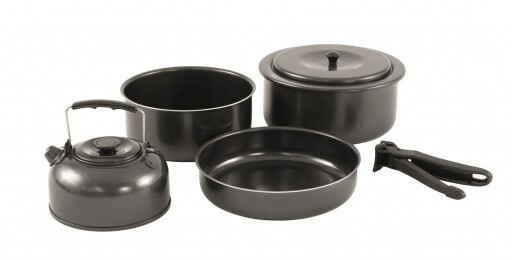 The Kampa Gastro Cook Set is an extremely lightweight yet strong with its aluminium construction. 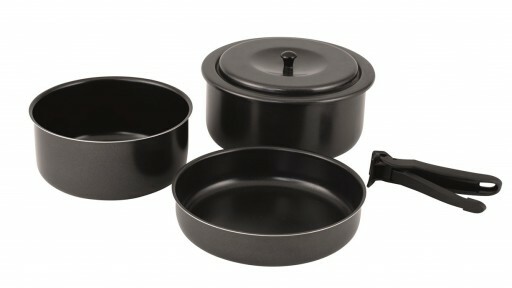 Ideal for families and groups. 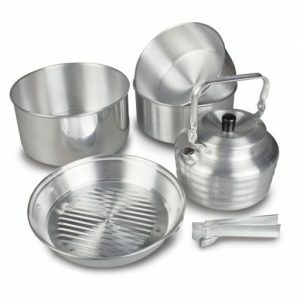 the Outwell Culinary Cookset L offers you everything you would need out a camping cookset. 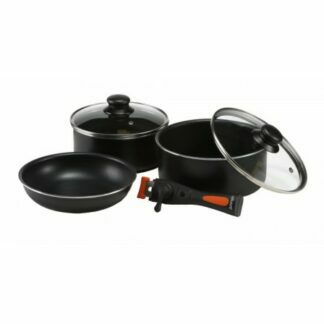 It features a large 5L pot with twin detachable, soft-touch handles plus a 24cm shallow pan. 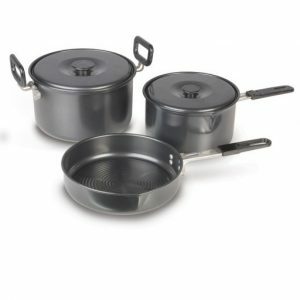 The Outwell Feast Set Large adds style to the kitchen with the whole set being made in quality aluminium with a durable non-stick cooking surface and a ferrous insert for use with an induction hob. 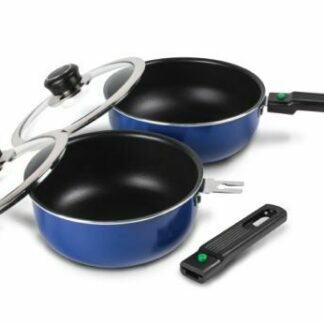 Get all your outdoor cooking needs covered with the Fiesta Set Medium, which includes two different sized pots, a frying pan and kettle. 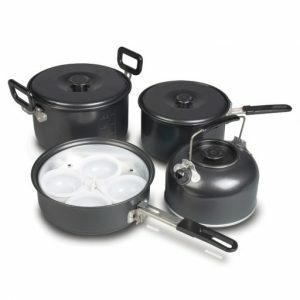 The Sunngas Billy Can Set is a set of pans that nest inside one another which is perfect for scouts or large groups of people camping to prepare and cook food in.